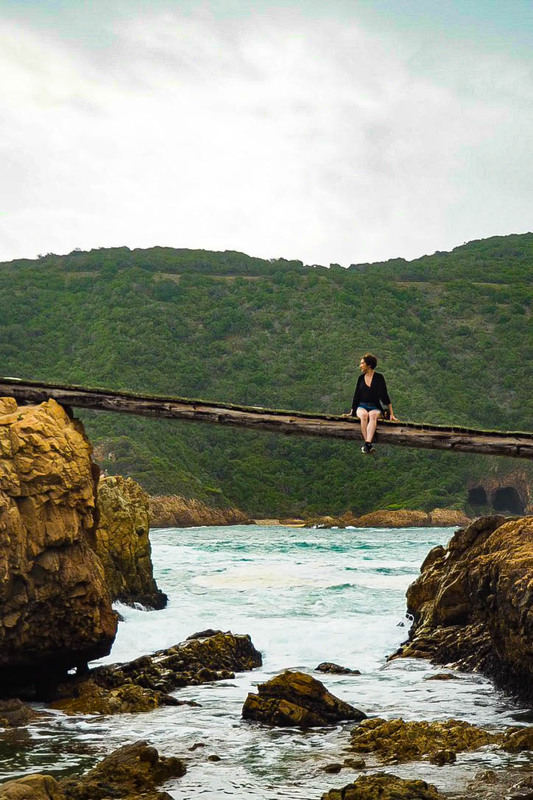 Although our journey along South Africa’s Garden Route was 1000km long, we covered it all in quite a short period of time. 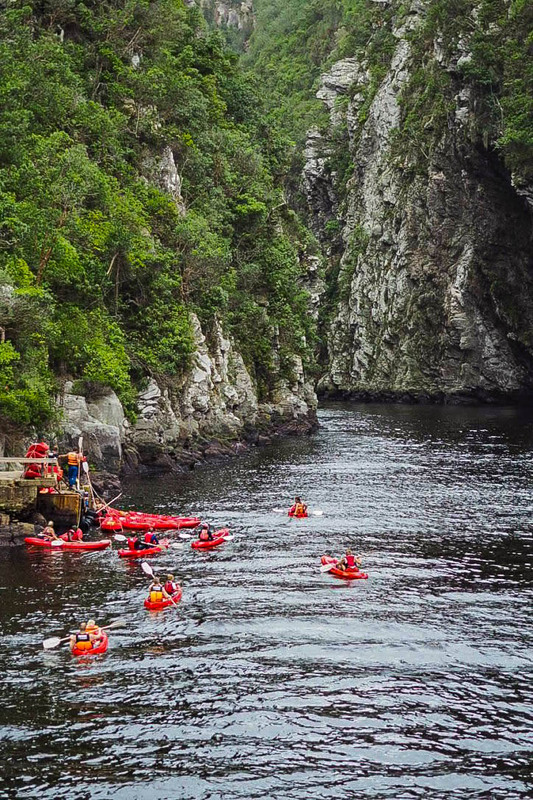 Before setting off from Cape Town, we had some stop-offs planned but took a chance on others depending on how we felt at the time and what our guide books suggested. 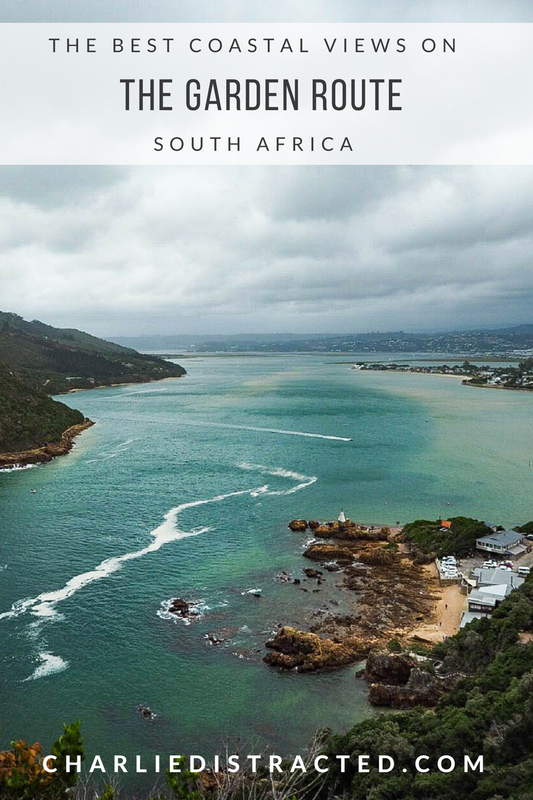 The route is known for its spectacular views of the South African coastline, so that’s exactly what we drove to seek out in between the beautiful little towns we’d found along the way. 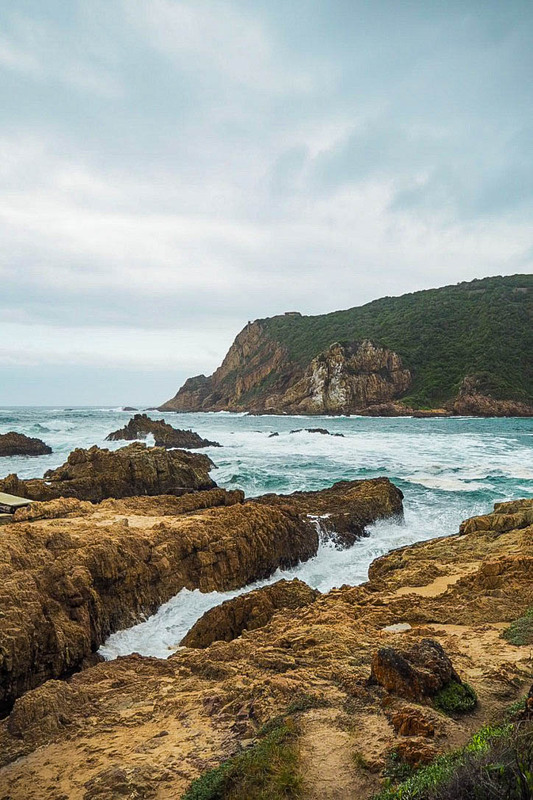 The weather wasn’t really playing ball when we rolled up to Knysna. 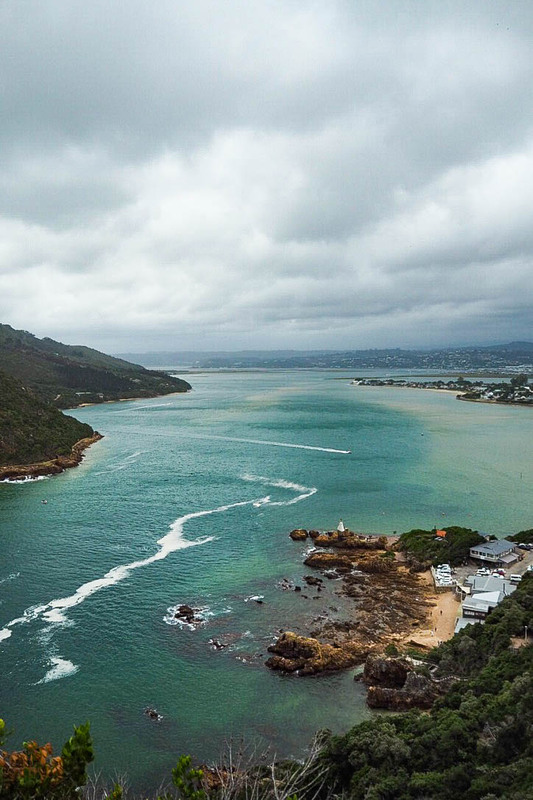 Rain meant some of the roads we wanted to take were closed or in a state that I wasn’t willing to drive, but after a bit of a detour (via a toilet break in the super tourist-y harbour area), we made it up to Knysna Heads, two steep and treacherous cliffs that break up a lagoon from the ocean. 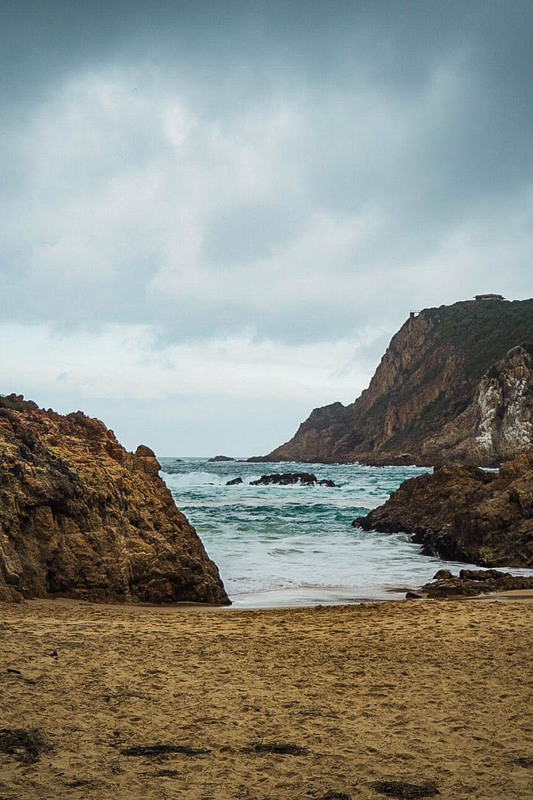 We drove up and down two separate and ridiculous steep, winding roads – one gave us those amazing views looking down, and the next allowed us to walk the beach below and clamber over boulders and rocks for a whole different perspective. 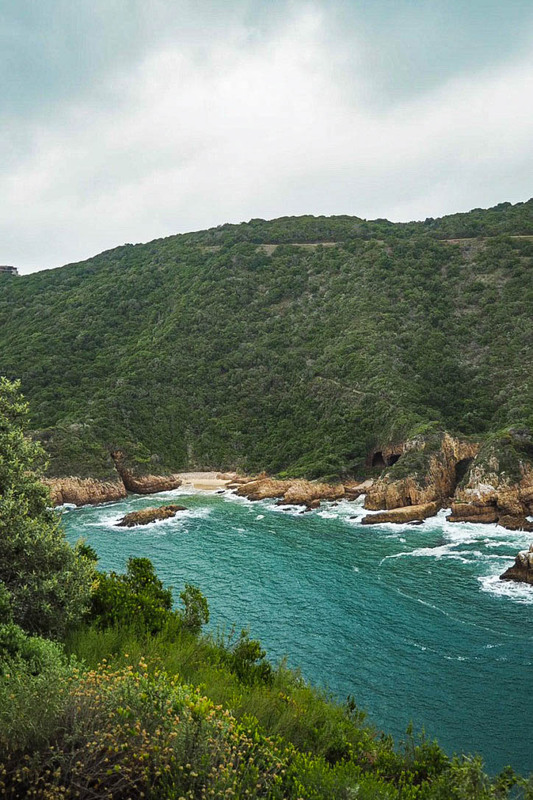 Onwards from Knysna and after an overnight stay in Plettenberg Bay, we stopped at Tsitsikamma National Park. 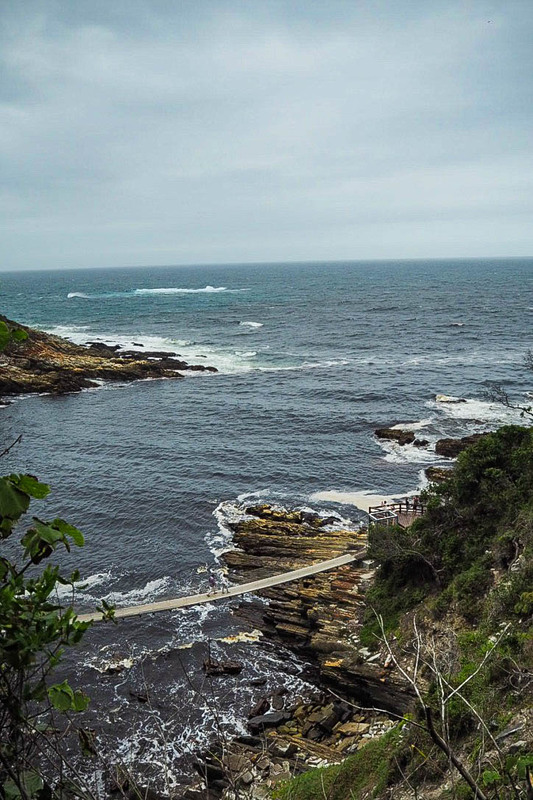 The park is vast but there are a number of easy trails to walk ranging from 2 – 6km, depending how athletic you’re feeling. 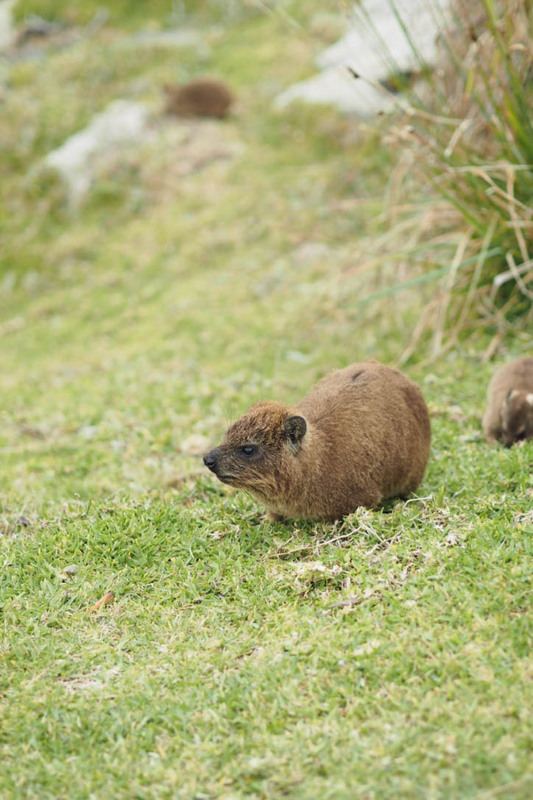 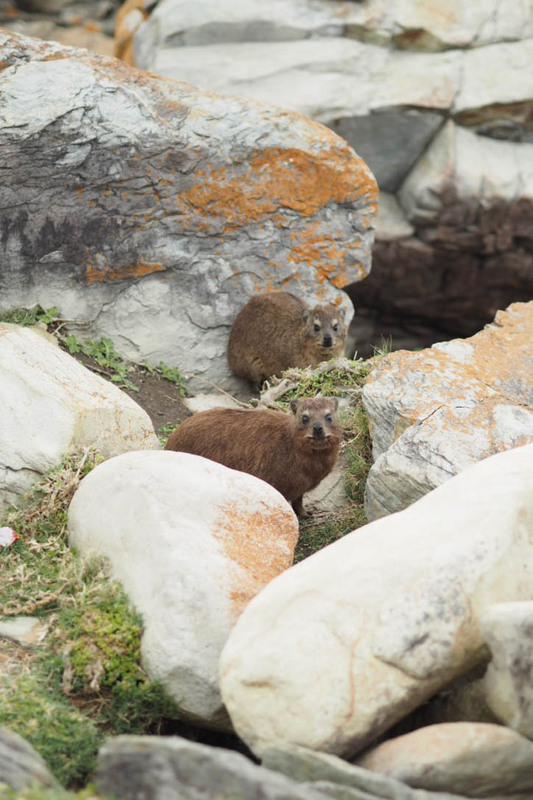 Before we even hit the paths, I was squealing with delight at tiny little furry mammals running about called dassies, who looked just as pissed off about the rain as the rest of us. 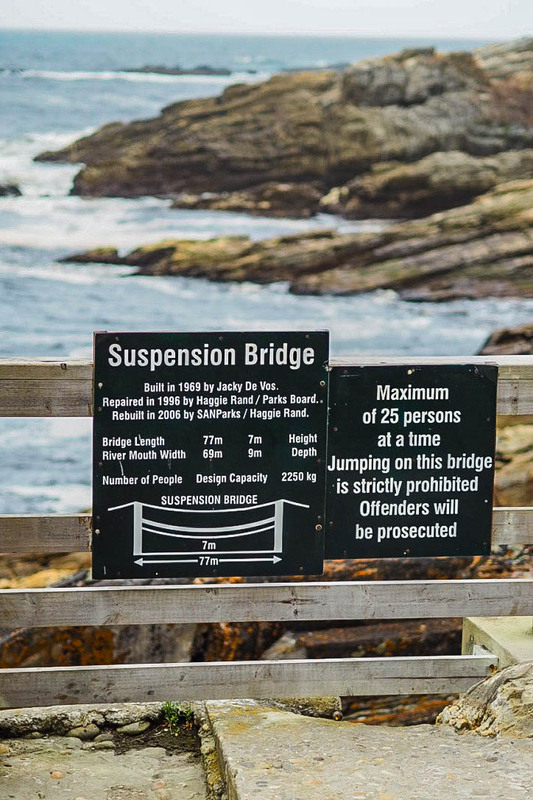 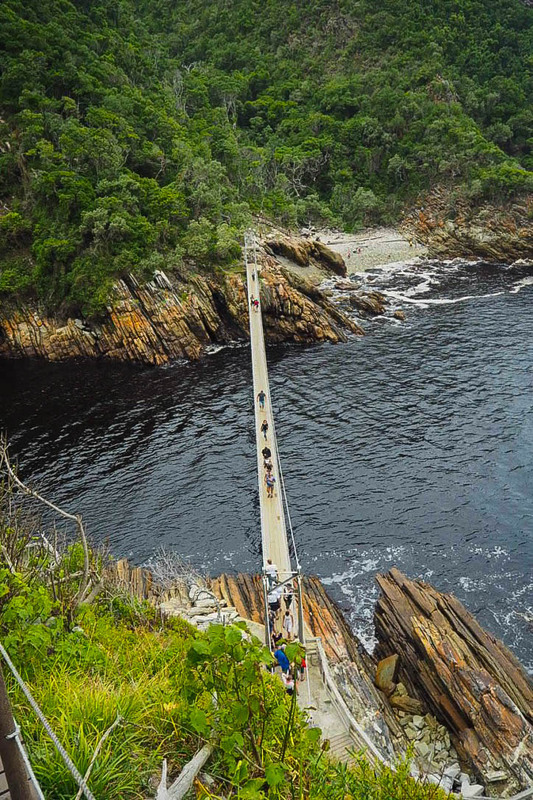 We took the 2km route through a coastal forest leading to Storms River Mouth and the 77m long suspension bridge going across it. 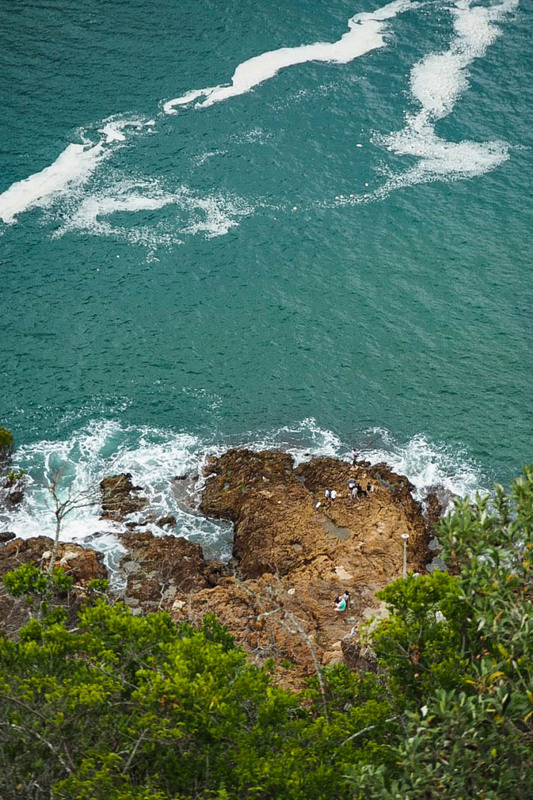 Braver people than us were kayaking out into the extremely choppy ocean whilst we bounced our way across the bridge to get even better views from the other side. 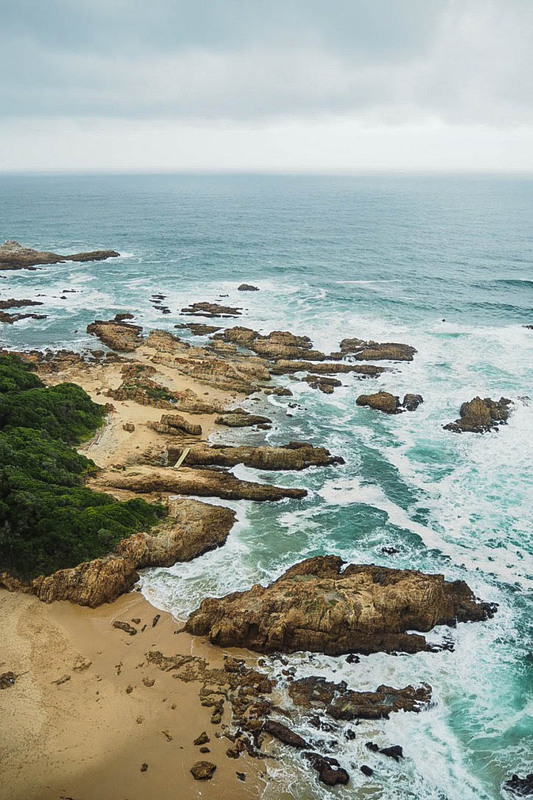 I fell in love with South Africa’s coastline right from the start of our Garden Route journey in Cape Town. 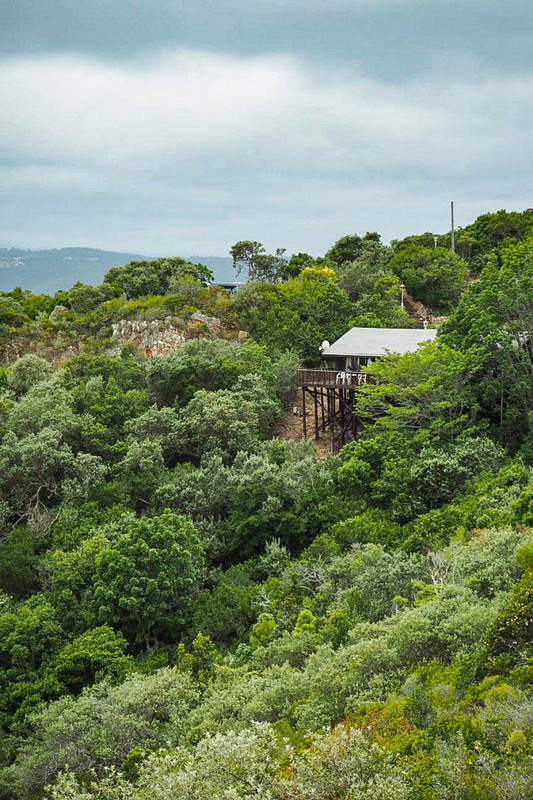 It is 1000km of gradually increasing dramatic views and vivid colours, and a beautiful way to experience the country.